Society is a legal entity with a group of members associated together for the specified purpose which results in a non-profitable service. A minimum of seven or more persons associated for any literary, scientific, or charitable purpose, or for any such use may form themselves into a society under the Societies Registration Act, 1860. The registration of a society is done through the Office of Registrar of Society under the Jharkhand Government. 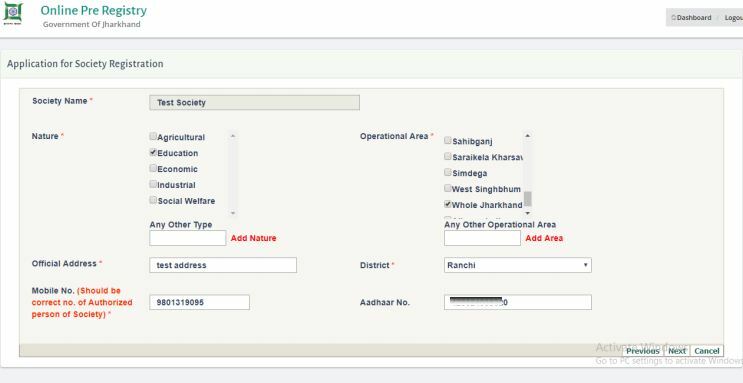 In this article, we look at the procedure for completing Jharkhand Society Registration in detail. In case you require assistance for Jharkhand Society Registration, please get in touch with an IndiaFilings Advisor at [email protected]. Jharkhand Societies Registration Act, 1860 allows for the registration of Welfare, Literary, Scientific and Charitable Societies. This Memorandum of Association has to be filled by Registrar of Societies. Upon such memorandum, the Registrar of the state will certify that the Society is registered under the Act. Bye-Laws are formulated for the specified purposes such as identifying society, details of the manner of meetings to be held, quorum, function and responsibilities. It also serves as evidence of Society Registration in Jharkhand. Before applying for registration, one needs to ensure that the members approve the clause mentioned in both Memorandum of Association (MoA) and rules. All the documents specified are required to be submitted in duplicate copy, along with the required registration fee. If the Registrar is satisfied with the given application form for society registration, the registration will certify to consider the society to be registered. One of an essential advantage provided to the not for profit ventures is tax benefits. The society must be registered under the Act to acquire the status of the juridical person. The registration of society gives a legal status and is essential for opening bank accounts. 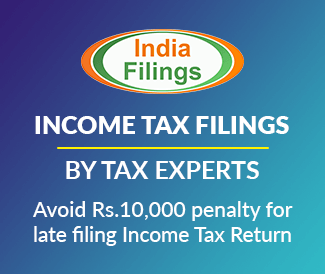 Used for obtaining certification and approvals under Income Tax Act and lawful vesting properties of society. It gives recognition to the societies at all forums and before all authorities. 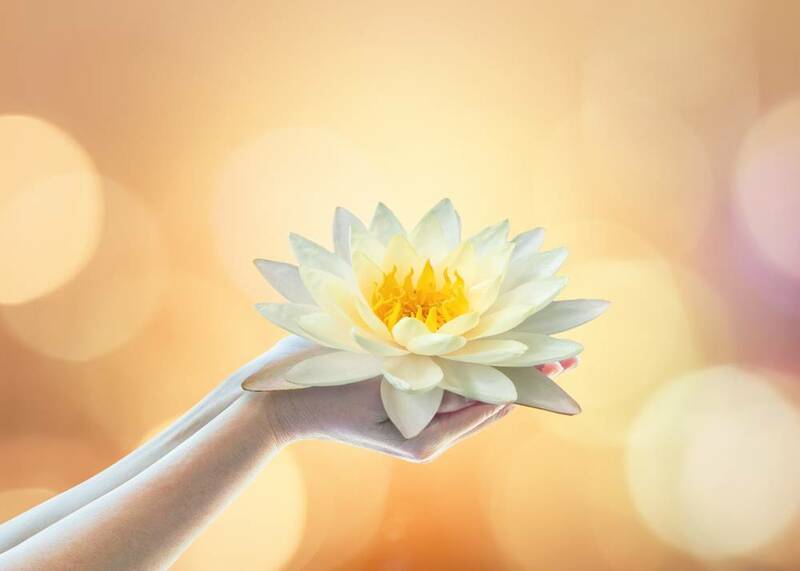 Non-profit ventures are eligible for income tax benefits if they are set up for the charitable purposes and satisfy all the requirements of the Income Tax Act. A charge of Rs.50/- has to be paid to the Registrar for every such Society Registration. The below following documents need to be furnished for the society registration in Jharkhand. An affidavit, regarding the ownership and NOC for the registered office of the society. Memorandum of Association (MoA) signed by founding members, with a duplicate. Rules and Regulations approved by founding members, with a duplicate copy. Name, Address and occupation of all society members along with their signatures. Address proof of all members. Step 1: The applicant has to approach the concerned Registrar with the application; affidavit in a prescribed format along with all supporting documents needs to be submitted. Step 2: Now you need to fill all the mandatory details such as society details and members of society. Step 3: Then you have to attach all the supporting documents with the form and submit it to the office. Step 4: After submitting the form, collect your application ID, and that can be used for future reference. Step 5: The concerned authority, Registrar, will process the Society Registration request and after successful verification, the Registrar will issue the documents. Step 1: The applicants have to visit the official site of the e-Nibandhan portal, Jharkhand to apply for the Society registration. 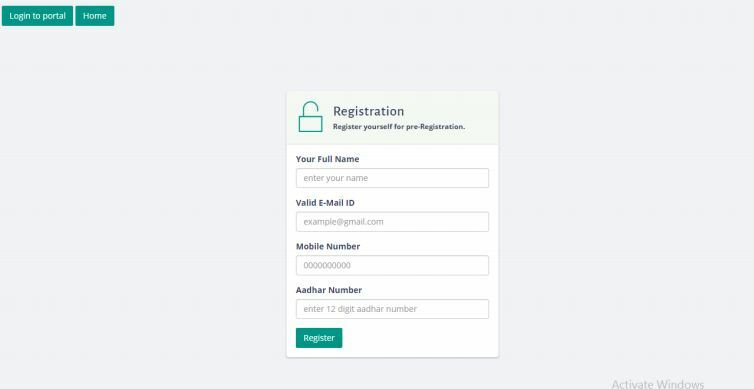 Step 2: If a new user, then you need to go to the “Register Now” option and register yourself by filling your name, email-id, phone number and Aadhaar number. 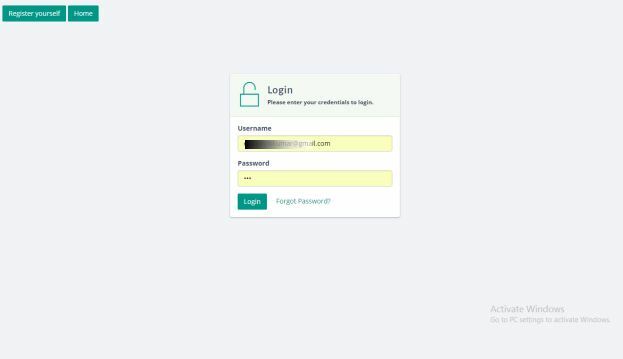 Step 3: You will receive your password through e-mail, and so you can use the login credential to log in to the portal. Step 4: Click on “application for society” option to apply for the society registration. Step 5: For new application leave previous application id as blank and if you want to edit your application then fill your previously applied application ID and click on the next button. Step 6: Now you need to fill all the necessary details of the society members as required and then click on next button. Step 7: Mark and confirm all the checklist given. Then click on the next button. Step 8: Now upload all the scanned documents in PDF format and click on the next button. Step 9: An application ID will be generated on the screen, note it for future reference. Then click on online payment link to submit the registration fee. Step 10: You have to take a copy of the pre-payment receipt for future reference in case of payment failure. Then click on “pay” button which will redirect you to the payment gateway page. Step 11: After the successful payment, a receipt will get generated against your application. 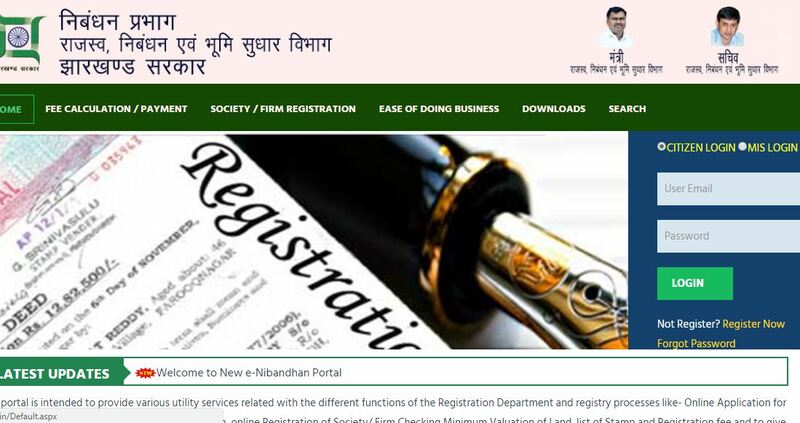 You can check the status of application of Jharkhand Society registration through an e-Nibandhan official website. Provide your application number, login e-mail ID, and password for society registration and click on get result. Status of application will be displayed on the screen. You can get the MOA and Bye-law documents after getting approval from concerned Registrar. Log in again to the portal for obtaining registration document. After receiving the documents, the society can run legally. The applicant can download their certified copy by using the valid application ID. A payment of Rs.15/- has to be made, to download the certificate from the portal. After the download is completed, the applicant can print the digitally signed certificate and use for the required purpose. The registered applicant can file their Annually/Quarterly Return Statement in the official website. 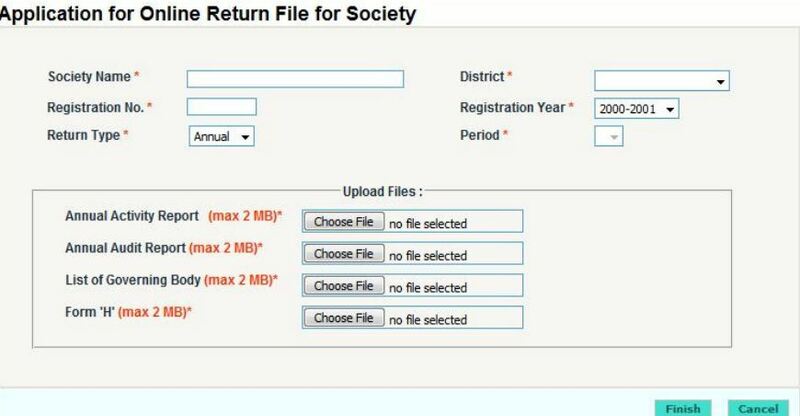 Open the application for online Return File for Society by clicking on the return file option and enter the mandatory fields for Return Filing of Society.